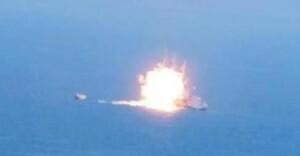 ISIS Uses Land-Based Missile For Maritime Attack. ISIS Attack Has Extraordinary Implications And Ramifications For Gulf Shipping. THIS ISIS ATTACK HAS HUGE IMPLICATIONS. Joint Chiefs Chairman General Martin E. Dempsey and Defense Secretary Ashton Carter will dismiss this attack as a mere maritime skrimish, but won’t say much so long as their lips are stuck to Obama’s backside. Suppose ISIS soon decides to disrupt merchant shipping (oil tankers) in the Strait of Hormuz and the el-Mandab Strait, cutting off the flow of Black Gold upon which we and the rest of the modern world are so dependent? Obama sent a lone American Navy Warship, the USS Laboon (DDG-58) on a tenuous voyage to a Black Sea Ukranian port, instead of having it on patrol in the Arabian Gulf. 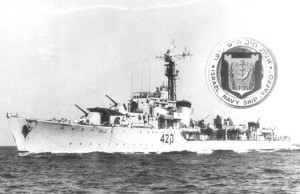 I addressed this in a separate SITREP days ago: https://spears2020.com/the-uss-laboon-sent-into-the-abyss/. This debacle is inexcusable! 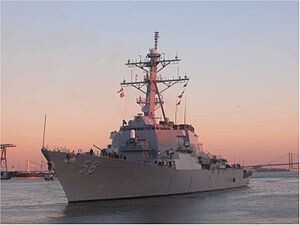 As President I will remove the CNO and retire him from the Navy, and ask Ashton Carter for his resignation, neither man to ever again be employed by the U.S. Government in any capacity. This ISIS attack isn’t even posted yet on IHS Jane’s 360! But don’t worry, I told them! Thank you for contacting IHS Customer Care. Your request has been logged and assigned Case Number CAS-1036326-5N8W66, which will be used to coordinate our communication to you. Please be assured our next available Customer Care Specialist will strive to respond to your request within 24 hours. NOT ON MY WATCH AS COMMANDER-IN-CHIEF! 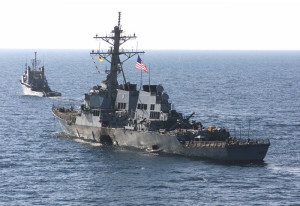 The current attack is reminiscent of the USS Cole (DDG-67) that al-Qaeda attacked in the Port of Aden, Yemen, on 12 October 2000, while she was being refueled. 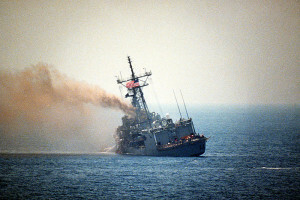 17 American sailors were killed, and 39 were injured. Another collosal blunder by the Commander-in-Chief, Chairman of the Joint Chiefs, and the CNO! 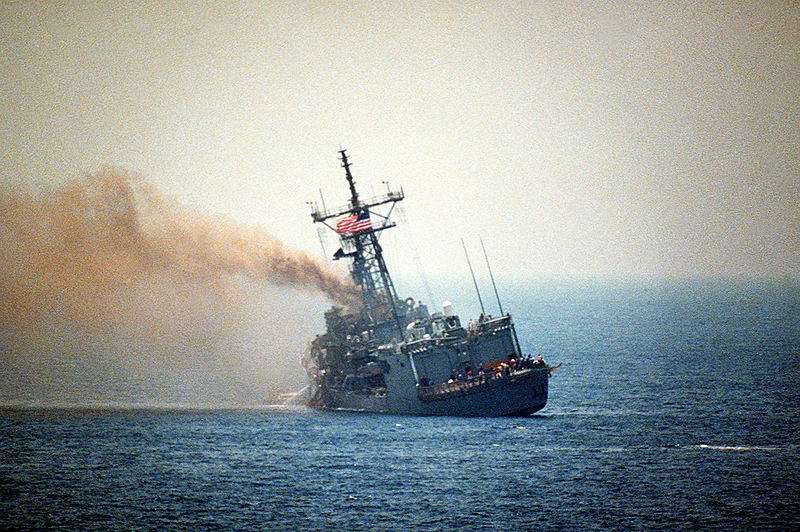 This event was the deadliest attack against a United States Naval vessel since the attack on the USS Stark (FFG-31) on 17 May 1987, when an Iraqi jet aircraft fired two Exocet missiles at her killing 37 Sailors and injuring 21 more. This attack was excused by the Administration, Joint Chiefs and CNO as an unfortunate accident.